A ground breaking new book brings together two of the major disciplines behind the popular film franchise Jurassic Park, with the aim to raise the profile of insect fossils through stunning photographs and unique illustrations. Fossil Insects, by David Penney and James E Jepson, details the incredible preservation and diversity of fossilized insects from around the globe, setting the scene for what these incredible fossils can tell us about both ancient and modern worlds, possibly even the future of our planet. Not unlike the mosquito in Jurassic Park, many of the hundred of thousands of specimens of ancient insects have been preserved in amber. Through the use of pioneering scientific methods and state of the art technology Dr David Penney, of the University of Manchester, has drawn upon his knowledge of both entomology and palaeontology to unveil some astonishing things about these fossilized creatures during the course of his research. 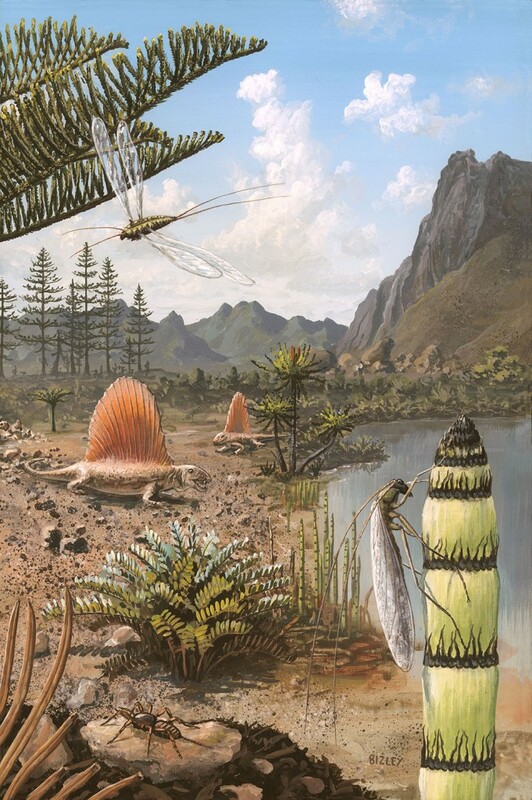 The ancient insects have been brought back to life in the book through illustrations that for the first time depict long vanished arthropods among the landscape of the age of the dinosaurs. In a unique collaboration, artist Richard Bizley has created seven reconstructions of each of the major periods from the Devonian through to the Tertiary. In order to make the animals in his paintings look as realistic as possible, Richard created models using scientific drawings and pictures of fossils. He proceeded to photograph them to in order to see how the light behaves. Even though Jurassic Park remains a fantasy for now, Dr Penney says the book and the film did result in an increase in research on fossil insects. He’s hoping that his book, Fossil Insects, will open up the research to even more people.